The Panorama mode was introduced in iOS 6 and has been an important part of Camera.app ever since. 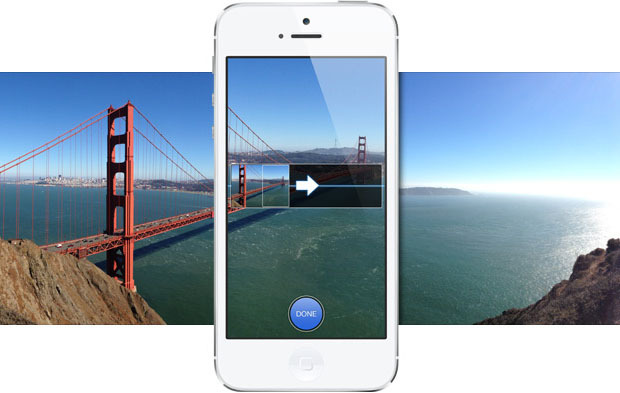 This feature enables users to take 28-megapixel shots of 360 degrees covering everything in their surrounding. The Panorama model of iOS’s Camera.app is super easy to use and does not require high level of expertise from the user. The yellow line and the arrow guide the users so they can take flawless panoramic shots. However I hear many people complain that the feature does not allow them to change the direction in which the panoramic shot is taken and this makes using the feature difficult for them. Well the thing is these people don’t realize that iOS already has the feature they are wishing it had and they can change the direction of panorama mode’s shooting mode quite easily. How you do it is extremely simple. All you have to do is tap on the preview area or the yellow line in the center. When you tap on it the app will instantly change the direction of panorama shot and allow you to take panoramic shots in the direction of your choice whether it is left-to-right or right-to-left. Did you know this feature exists? Do you ever use the Panorama feature of iOS on your iPhone? Let us know in the comments section below.